If you find yourself in hospital for whatever reason, whether that be illness or accident, you have a right to expect that you will be treated with all the professionalism and expertise the NHS and other medical professionals have to offer. On the whole, medical care in the UK is very good but sometimes medical staff, from pharmacists right up to consultant level, do get things wrong and a patient dies leading to medical negligence compensation claims. When death occurs as a result of a failure in the basic ‘duty of care’ that all medical professionals must adhere to then that death can fall under the banner of medical, or clinical negligence and as such can be a basis for medical negligence leading to death compensation. If you are wondering how to go about taking legal action on a clinical negligence issue but are worried about the time-consuming complexities of such an action, the following information can help you to understand what’s involved and how to go about engaging the appropriate legal services for death by negligence claims. Claims for a death arising from medical negligence – a guide. Making a claim for a death caused by medical negligence. Making a medical negligence claim against the NHS. The time limit for a death caused by medical negligence claim. Deaths arising from medical negligence – the facts and statistics. The duty of care owed to patients. The reasons why death from medical negligence occurs can lead to a claim. Different types of claim relating to death by clinical negligence. Steps to take if you have lost a loved one because of medical negligence. When a death results from clinical negligence – who can claim? The advantage of ‘no win no fee’ claims for death caused by clinical negligence. How much can I expect to get in a death caused by medical negligence claim? How to start your claim. Why choose our services to handle your death by medical negligence claim? Call us for free advice and help to start a claim. The most common circumstances under which clinical mistakes or negligence can result in death. It will look at how and when a legally qualified person or individual can file a claim on behalf of the deceased and their representatives as well as what the time limits for filing a claim are. The guide can explain the procedures that are involved in making a claim of this kind. There is also an explanation of the difficulty that can arise when trying to work out how much compensation can be awarded for a death caused by medical negligence, whatever the circumstances that led up to it. When it comes to estimating the costs and expenses involved in reaching a settlement total we are able to offer advice on this and more in a free consultation session. Medical negligence, also referred to as clinical negligence, is a term used to define an incident where a medical professional such as a doctor, nurse, pharmacist, clinical diagnostician or any other professional involved in a patient’s care, has breached the ‘duty of care’ obligation. This is something that every medical or care professional must adhere to. If a healthcare professional does, or fails to do something that causes harm to a patient or leads to that patient’s death, this is called negligence but both liability and cause must be proven for a successful claim for compensation. Medical negligence can occur either through carelessness, ignorance, disregard of procedure or any other reason. Healthcare professionals in the UK must operate under a raft of very strict laws governing medical bodies and even the smallest breach is considered serious. Errors in surgery or surgical decisions. Errors in administering or prescribing medications. Clinical Assessment Authority which is tasked with monitoring the performance of NHS staff. 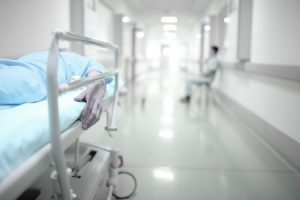 When a negligence claim is filed against staff members, rather than against the NHS as a body, this starts a standard legal procedure that should result in a compensation settlement from the hospital involved. Cases like these are usually deemed as ‘vicarious liability’ which means that someone, usually in a position of superiority, is held responsible for the actions of those beneath them. All NHS Trusts in England currently belong to the Clinical Negligence Scheme for Trusts, which handles claims against NHS employees and the costs are met by them. Making a claim via these complex procedures can require expert legal advice and assistance. Where there is physical disability arising from head or brain injury the three year limit may be stretched. The three year limit applies to minors only after they turn 18. The main advantages of making sure a claim is filed within the time limit are simply that it is easier to recall facts and figures and to document and retain these accurately plus the relevant laws and regulations are unlikely to alter. Having to deal with the loss of a loved one is hard enough and filing a medical negligence claim may be the last thing you want to do. This is why a Claims Services expert can take the burden from your shoulders to deal quickly and efficiently with the case at such a difficult time. Sadly the issue of deaths caused by medical negligence is one which will never go away and in such a complex and emotive issue you may not understand how your case meets the required legal criteria. It may help you to consider these associated facts and figures. Statistics and intelligence organisation Dr Foster reported in 2013 that an unacceptable 16 NHS hospital trusts in England had patient mortality rates that were ‘higher than expected’ resulting from a variety of factors. Most hospital trusts scored low in patient mortality assessments. For the period 2012-2013 it was reported that approximately 237,000 patients died in hospital but this figure is not constant. Dr Foster also reported that in 2013 only four hospital trusts in England achieved awards for performance in lower than expected patient mortalities. A BBC news report published a table showing the alarming number of hospital trusts that fell below the required standards for patient deaths. The London School of Hygiene and Tropical Medicine has estimated that around 1 in every 28 deaths that occur in NHS trust hospitals does so as a result of below standard practices like misdiagnosis, incorrect prescribing of medications or substandard monitoring of patients. The above is a snapshot of criteria that could match your claim for compensation but for clarification and assistance an experienced claims expert can help. All medical staff are bound by the ‘duty of care’ principle. The definition of duty of care is ‘the moral or legal obligation to ensure the well-being and safety of others’ and this applies in many workplaces but never more so than in the medical profession. This rule ensures that all those involved in patient care must prioritise the appropriate care and welfare of their patients from diagnosis to treatment. There are comprehensive guidelines in place regarding how a patient should be treated and any medical personnel who ignore these and cause harm to their patients are in breach of the duty of care obligation. Failure to provide emergency surgery or treatment when needed. Complications from surgery like unintentional perforation of an organ leading to fatal organ failure or bleeding. Substandard surgical practices. Incorrect use or administration of anaesthetic or other catastrophic errors in prescribing drugs. Misdiagnosis or delay in diagnosis causing death from things like delayed referral to hospital; the formation of acute and fatal infections like sepsis or illnesses like cancer, or fatal heart attack, DVT or pulmonary embolism. Cosmetic and aftercare procedures that are carried out incorrectly can lead to death. Negligence in care procedures such as often happens in nursing homes as a result of errors in practice or prescribing. When assessing any of the issues listed above, or any other issue deemed to fall under the banner of medical negligence, the circumstances and severity of what happened is one of the factors that will determine the level of compensation awarded. Gross negligence. The most serious category in which the medical practitioner concerned can potentially lose their license to practice if a court deems it necessary. Gross negligence is what occurs when a medical practitioner completely ignores rules and protocols. Comparative negligence. This is when the victim is found to be partly responsible for the circumstances which led to their death. The percentage share of responsibility by both parties involved in the case is decided in court. Contributory negligence. Where a victim is found to have done something, or failed to do something – like not taking prescribed medication – they are said to hold responsibility for what has happened and unfortunately compensation is not given in cases such as these. Vicarious liability. We mentioned this earlier and the term refers to cases where an organisation rather than an individual is the subject of a claim. Sometimes there is what’s known as institutional failure and these cases can be classed as vicarious liability. A medical negligence claims specialist will decide which category your claim fits in order to advise you on which way to proceed. Dealing with the loss of someone close can be traumatic and even more so if their death could have been avoided. If you decide to embark on a legal claim for compensation you’ll need to know what to do. Firstly, make sure you get a second independent medical opinion and evaluation of the case. We can help with this if you wish. Keep a note of anything and everything relating to the case. Medical notes, x-rays and scans, e-mails, records of telephone calls and meetings, can all be useful evidence. Aside from the loss of the loved one there are financial losses to be evaluated. Keep all bills, receipts and proof of expenses or loss of earnings. This will all be taken into account when calculating the amount of compensation due. You may not, in the midst of your grief, feel like doing all this but presenting information like this will help your claim enormously. As you might imagine not everyone is entitled to claim for death by medical negligence. Those who can include family members and dependents of the deceases and the legal estate belonging to the deceased. Any award of compensation then goes towards the estate or is deemed to be for the benefit and welfare of those dependents left behind. General damages relating to pain, suffering and trauma relating to a death caused by negligence by hospitals, doctors or other medical staff. Special damages encompass expenses incurred for the victim including travel and parking costs, relating to all journeys between the victim’s home, hospital and law premises, and things like ambulance, hospice and care expenses. Medical expenses encompass all those incurred before, during and after the death of the victim and these could include private healthcare. Funeral expenses may also be claimed for. This is not a full list – bereavement compensation and other awards may be possible. The loss of a loved one can be devastating in so many ways, not least emotionally and financially. This is why we believe you should take as few risks as possible at this time and work with a team that aims to help you through such a terrible time with as little stress and upset as possible. Our Conditional Fee Agreement, commonly known as a No Win No Fee agreement, is designed to protect you by reducing risk and ensuring a successful outcome whereby you pay nothing if you don’t win your claim. To find out about this and about our commitment to helping clients as much as we can, contact us today. How Much Compensation can I expect in a Death by Medical Negligence Claim? There are so many factors involved in calculating compensation in these cases. Circumstances leading to the death, health issues or complications before the death along with the personal and financial circumstances of the deceased are just some of the issues taken into account in many medical negligence compensation examples. The following table illustrates average typical compensation payouts for a range of different circumstances however there are always cases that fall outside the normal remit. Not every claim for death due to medical negligence falls under a rigid set of conditions. Just because you may not see the exact conditions that apply to your claim does not mean that you won’t be able to claim. A member of our legal team is always on hand to advise you and you can call us any time for help and assistance. These figures are only intended as a guide and your legal representative can advise you in more concise detail should you decide to claim but this should give you an idea of a death compensation calculation. When a person dies as a result of medical negligence their family can be left in a state of upset and confusion, not knowing where to turn for help. It is understandable that you may be wondering if you can make a legal claim in order to achieve redress and compensation for the death of a loved one and for all that your loved one and family have gone through. It is also understandable that you may be hampered by your lack of knowledge regarding the laws and procedures involved. How much easier then to have access to expert advice during a free consultation where there is no obligation or pressure to act. During a first consultation a medical negligence specialist will talk to you on the phone and discuss whether you can bring a case based upon the evidence you supply and then give you an estimate of how much NHS compensation payouts for death could be involved. Why Choose Us to Handle Your Death by Medical Negligence Claim? A free, no-obligation first consultation. A Conditional Fee Agreement deal for financial peace of mind. Client-friendly, ethical, the highest standards of integrity. The very best expertise in all aspects of a medical negligence claim. Get in touch with us today so that we can evaluate your claim and start you on the right track with tailor-made advice and expertise. We’re sure you’ll find we’re the perfect choice. Complete our online form, chat with one of our website advisors or call us on 0800 073 8801 We look forward to hearing from you. For free advice on Misdiagnosis Compensation Claims and how to start a Medical Negligence Claim whether you have questions about wrongful death compensation UK or anything else call us on our free phone number or on our live web chat. We can also offer advice on making a complaint about an NHS service. It can be difficult to know what to do after someone passes away. Find help on the NHS website link above. For advice on the practicalities after a death see the CAB guide to what to do. Find out how much compensation you could claim if you have lost a family member or loved one due to a fatal accident or wrongful death.